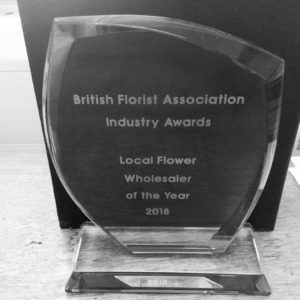 It is with a huge amount of pride that we can tell you we were recently voted Local Flower Wholesaler of the Year 2018 at the British Flower Association Awards at Fleurex in Birmingham. 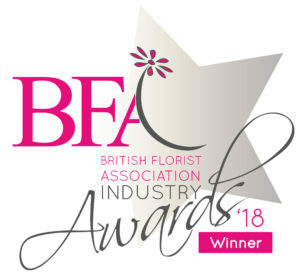 The Award is voted for by florists and open to every wholesaler based in the UK so for a small family run business like ours to win ahead of all of the rest is incredible. 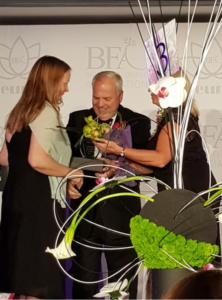 The award was collected on our behalf by Tina Parks of The British Academy of Floral Art. We would like to thank everyone who both voted for us and sent in kind words on congratulations afterwards. ‹ The Land where Time stood still.